Today I cleaned up this blog a bit, and in doing so created pages for each month of the years I’ve been doing this . . . over four years. In July of this year, I was not in a good mood about photography or what I was doing. My ego was quite into it, in a bad way. Burn out is not a good thing. While rummaging through things, I came across this picture from February 2014. I rather like it, though it is better suited for Halloween than Thanksgiving! 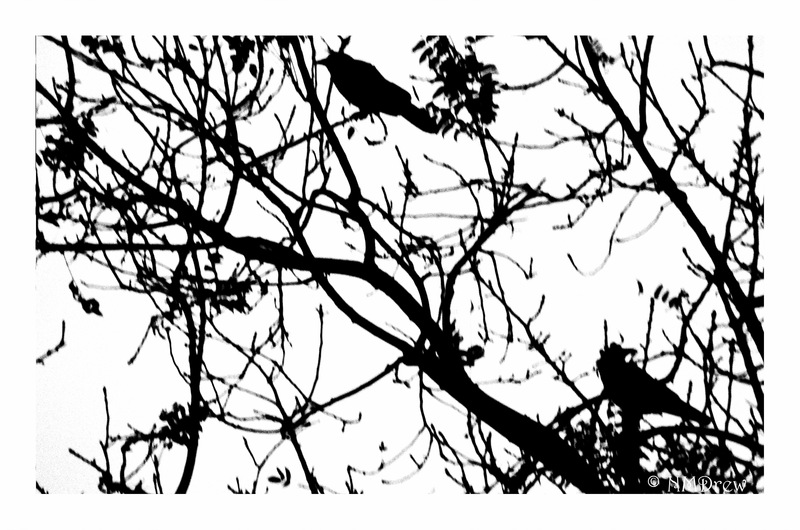 This entry was posted in Glimpses and tagged birds, black, crow, Nikon D7000, photography, raven, silhouette, Tamron 70-300 SP f4-5.6 Di, tree, white. Bookmark the permalink.